In addition to our colors, I borrowed a layout idea from the Hand Stamped Sentiments challenge this week. This one took me a while to get going – I just couldn’t get my brain around the color combination. So I just started playing with background and textures. I ended up with a Very Vanilla panel that I stamped using the burlap-y image from the You’ve Got This stamp set in Pool Party. Over that, I used the splotches image in the Awesomely Artistic stamp set – also in Pool Party. I SNAILd the panel to an Old Olive mat – it appears I’m having a bit of an obsession with smaller card fronts and wider “frames” this week! I took a length of Very Vanilla 1/2″ Lace Trim and one of 5/8″ Burlap Ribbon and adhered them across the card front with some Liquid Glue – making sure they extended past the edges of the panel. My sentiment, from the Heartfelt Sympathy stamp set, I stamped on some Very Vanilla, using the marker-to-stamp technique. It’s a little sporty with a photopolymer stamp, so I ended up having to touch up the stamped image with my Rich Razzleberry and Old Olive Stampin’ Write Markers. Then I cut the sentiment with an oval Stitched Shapes Framelit and matted it on a scalloped oval mat in Old Olive. I used some Stampin’ Dimensionals and Liquid Glue to adhere it over the ribbons. I took about length of 5/8″ Burlap Ribbon and pulled out a few threads, which I wrapped around the stems with a Glue Dot to hold it on, Then I tied a simple knot with a few more strands and adhered it over the top with yet another Glue Dot. Then I used Liquid Glue to adhere the bouquet to the card and the card front was done! On the inside, I stamped a second sentiment from Heartfelt Sympathy to a Very Vanilla panel, again using the marker-to-stamp coloring technique. Then I added a little sprig of Old Olive leaves – also from Heartfelt Sympathy. I SNAILd the panel to an Old Olive mat and into my Basic Black card base, SNAILd the card front on – and the card was done! …and more Pool Party burlap and splotches from Awesomely Artistic and You’ve Got This on the envelope flap. Et Voila! I see no reason a Sympathy card can’t be pretty – perhaps that’s a card that needs to bring a smile more than any other kind, yes? I think the fonts are so pretty in Heartfelt Sympathy and I love all the textures options we have these days – Awesomely Artistic and You’ve Got This are just a couple! Hope you like! Mornin’, y’all! Happy Monday! Hope your week has gotten off to a good start. I used the inspiration photo at Just Us Girls this week to inspire many of the elements of this card. To start off, I embossed a Very Vanilla panel in the Sparkle TIEF and matted it on a piece of new Lemon-Lime Twist card stock (avail 1 June). On the middle Very Vanilla panel, I stamped just the word “Breathe” from the Colorful Seasons stamp set, in Berry Burst Ink (also avail 1 June). Using a piece of Wood Textures DSP, I cut the adirondack chair using the cool die in the Seasonal Thinlits die set and adhered it to the panel with a little Liquid Glue. I stamped the tall glass image in Berry Burst (just the glass portion – it’s photopolymer so it’s easy to just ink part of the image) and cut it with the matching die. Then I used my Daffodil Delight Stampin’ Write Marker to add a straw and popped it on with a piece of a Stampin’ Dimensional. My flowers are all from the Jar of Love stamp set – I stamped a bunch of them in Daffodil Delight, Peekaboo Peach and Flirty Flamingo and cut them with the matching die from the Everyday Jars Framelits. I also cut two of the leaves/stems from Lemon-Lime Twist and then cut a few short pieces from them. I stuck the leaves on the panel with Liquid Glue, and then added flowers with Liquid Glue and Stampin’ Dimensionals. I Fast Fuse’d a Lemon-Lime Twist mat to the card front, and then popped the completed sentiment panel over top with Stampin’ Dimensionals. A little seed Pearl Basic Jewels Embellishment in each little flower center finished off the card front. On the inside, I stamped a second sentiment from Colorful Seasons in Berry Burst on a Very Vanilla panel and then added a few flowers from Jar of Love in Daffodil Delight, Peekaboo Peach and Flirty Flamingo. I Fast Fuse’d the panel to a Lemon-Lime Twist mat and into a Very Vanilla Thick card base (avail 1 June), popped the card front on with Stampin’ Dimensionals and the card was done! …and I embossed the envelope flap in the Sparkle TIEF! Et Voila! How cool is that adirondack chair from the Seasonal Layers thinlits – especially when cut from some Wood Textures DSP! And I just love the sentiments and images in the Colorful Seasons stamp set. I hope you like and are adding them to your wish list! If you’d like to check out the video…here ’tis! The Colorful Seasons stamp set and Seasonal Layers Thinlits will be available as a bundle on 1 June, as will the Lemon-Lime Twist card stock, Very Vanilla Thick card stock, Berry Burst Ink Pad and Wood Textures DSP Stack! Yesterday was Finn’s first day at Obedience School. As we all expected…he was a star!! Of course, he’s in a class with a 14 week old Boxer puppy (who will seriously give the Finn-ster a run for his money in the “CUTE CUTE CUTE” department!! ), a 7 month old German Shepherd who is, unfortunately, in charge of both her parents, and a 4 year old German Shepherd who also has a bit of the wool pulled over his mom’s eyes. So – the competition wasn’t stiff, y’all. But. Of them all – here’s how Finn decided it was best to wait for class to start. Just chillin’. Waiting for the teacher to come tell him he’s going to be the pet. She used us as the example of what to do right all the way thru the class. She did ask me at the end….now, why are you here again!?!? Yea. He was that good. But then – we all knew it would be so, didn’t we?!? Stampin’ Up! Artisan Cool Treats! Hey, y’all! Happy Saturday to you. Hope you’ve got a great weekend ahead of you! My sketch is from the Freshly Made Sketches challenge – I just turned it on its side. And the color scheme is from The Card Concept. I started by SNAILing two pieces of Tasty Treats Specialty DSP to Pear Pizzazz card stock and then I SNAILd the smaller panel to the card front. The sentiment, from Cool Treats, is two separate stamped images. I stamped the first word in Pear Pizzazz on a Whisper White panel. Then the second word is stamped in Pool Party – easy to line up, since this is a photopolymer stamp set. Then I SNAILd the panel to a Pear Pizzazz mat. Next I made my artisan ice cream cone. This isn’t ice cream you’re going to get at the grocery store. This is boutique ice cream! I stamped two scoops on Whisper White – one in stamped-off-once Pear Pizzazz (I suspect this is Mojito flavor) and one in Pool Party (Daiquiri Ice – yes, I have a cocktail theme going on here!). Then I cut them both out with the matching die in the Frozen Treats Framelits. The cone is cut from a piece of Crumb Cake card stock. I used Liquid Glue to adhere the ice cream onto the cone. I made some gourmet “sauce” by cutting it from some Mint Macaron Glimmer Paper, then I adhered it to the top scoop. Since this is a grown-up ice cream cone, I decided it needed some edible flowers sprinkled on top. I stamped one in Pear Pizzazz and two in Pool Party – these little flowers are from the Jar of Love stamp set. Since I didn’t want any white on them, I just went ahead and fussy cut them. Then I adhered the Pool Party flowers with Liquid Glue and then popped the Pear Pizzazz flower on with a little piece of Stampin’ Dimensional. I finished them off with a tiny Pearl Basic Embellishment. I adhered the cone to the sentiment panel with Liquid Glue, then popped the whole thing onto the card front with Stampin’ Dimensionals. Then I added a little bow made with a piece of Whisper White Solid Baker’s Twine. On the inside, I stamped a Pool Party ice cream scoop in the corner of a Whisper White panel. Then I stuck a sticky note mask over top, and stamped the cone dish in Crumb Cake. The sentiment, also from the Cool Treats stamp set, is stamped in Pear Pizzazz and embellished with a Pool Party flower from Jar of Love. And, I added another little pour of Mint Macaron Glimmer Paper. I SNAILd the panel to a Pear Pizzazz mat and into my Crumb Cake card base, popped the card front on with Stampin’ Dimensionals and the card was done! …and the envelope flap got some more of the Tasty Treats Specialty DSP. Et Voila! I think the quiet color scheme helped the Cool Treats bundle create a very grown-up ice cream card for a special someone! Hope you like! I own a guard dog. He’s a little bit goofy (don’t know how that happened – I specified Not Goofy). But. I do believe he’d at least warn of impending doom. 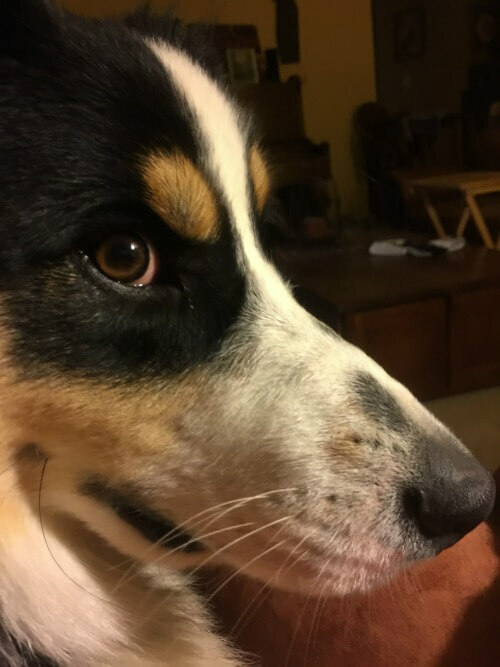 The other day, as I was channeling Carol Brady Alice (let’s be real – I don’t think Carol knew the difference between a chuck roast and a salmon), Ree Drummond and June Cleaver – putting a pot roast in the oven in anticipation of Wayne’s return home, my goofball started barking and growling! BIG dog barks and growls! I went to see what the problem was, thinking it was the horses coming to the pond for a drink and splash. But, no. There were guys at our neighbors, with a skid steer and chain saw and riding lawn mowers. They were wearing orange jackets. And they were obviously suspect. Stampin’ Up! Textured Basket of Wishes! Good morning, y’all – happy Sunday! Today’s going to be fun – we’ve got our Amy’s Inkin’ Krew “business” meeting! I put it in quotes, cuz – while we do take care of some business, we also eat our lunch and make a few projects. And it’s really fun to get to be with some of our fellow demonstrators who are lucky enough to be in Amy Koenders’ downline! I’m always glad when I get to be home when the “in person” meetings are being held! My card for today is a bit of an homage to Fall – cuz I know it’s going to get here soon! Weather folks on tv say Wednesday. I started with a piece of Crumb Cake card stock, which I tore all around the edges. Then I used the big splattering of tiny dots image from Touches of Texture, stamping it all over in Crumb Cake ink. Sometimes full strength and sometimes stamping a second time without re-inking. Then I added the flower image, all over (leaving a blank spot for my sentiment) in Delightful Dijon. I cut a piece of 5/8″ Burlap Ribbon – the same length as the card – and used some Multi-Purpose Liquid Glue to adhere it to the panel. The sentiment, from Basket of Wishes, I stamped in the corner in Early Espresso. For my art, I matted a small piece of Serene Scenery DSP to a Delightful Dijon mat and popped it over the ribbon with Stampin’ Dimensionals. I cut two pieces with the Swirly Scribbles Thinlits – one in Crumb Cake and one in Cajun Craze. To give them some texture, I used the same dots image from Touches of Texture and stamped all over the die cuts in Early Espresso ink. Then I used Liquid Glue to adhere them to the card. The focal art is from Basket of Wishes. I stamped the basket in Crumb Cake ink on Very Vanilla, then added the flower bunch in Soft Suede. I colored the image with my Clear Wink of Stella brush – using Soft Suede on the basket, and Crushed Curry, Chocolate Chip, Cajun Craze, and Old Olive on the flowers. Then I cut it out using a die from the Circles Layering Framelits. I got the bright idea to make the circle look a little like a sunflower. So…I punched a flower with my Flower Medallion Punch from a piece of Delightful Dijon. Then I made some stitches all around the edge of the flower with my Chocolate Chip Stampin’ Write Marker. I added the circle with some Liquid Glue – and then it seemed like a good idea to add some stitches to that as well, so I did! The final touch – see him up there? – is a little buzz-bee from the….Jar of Love stamp set! I stamped him with Early Espresso ink on some Vellum card stock, adding some Crushed Curry to his body with my marker and cut him with his little die in the Everyday Jars Framelit set. Then I used my Fine-Tip Glue Pen to add him to the basket – and the card front was done! It’s mounted a little differently than usual – I SNAILd a panel of Delightful Dijon to my Crumb Cake card base – then I popped the card front on with Stampin’ Dimensionals. On the inside, I tore the edges of another piece of Crumb Cake card stock. Then I stamped around the edges with the Touches of Texture in Crumb Cake. In the middle, I stamped the flower image, in Delightful Dijon – stamping off twice before I stamped the card. Then I SNAILd it to a Delightful Dijon mat and into my Crumb Cake card base. And that was it! …and then I borrowed an idea from my friend and downline Beth Hooper (check her card out here! ), and added the little flower image from Basket of Wishes to the envelope flap. Et Voila! This one has a lot going on, but I think it works! I love Touches of Texture for all the possibilities it gives you. And, of course, Basket of Wishes is just flat beautiful! Hope you like! NEW ITEMS – UP TO 60% OFF! You’ll want to check out the Clearance Rack on the Online Store because we’ve updated it with different items that are up to 60% off. You may have noticed that the products we recently added to the Clearance Rack include stamp sets, which we’ve never done before! 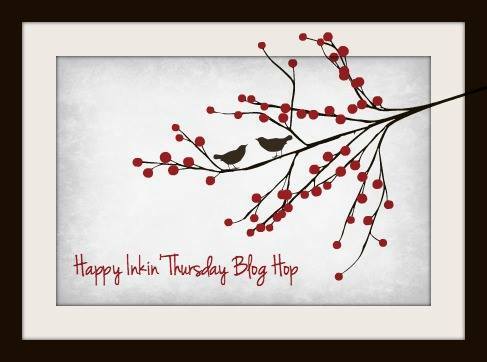 Early on, Stampin’ Up! released some photopolymer sets to gauge how much we loved the medium – and we loved them a LOT!! As a result, this stamp format became a “regular” part of all our catalogs. The photopolymer stamps included in the Clearance Rack are from the stamps that came out with the early trial releases and they’ll only be available while supplies last. We know you love photopolymer stamps and these Clearance Rack stamps are no exception. Get them before they’re gone! Check them out and get them before they’re gone! Hope your Sunday is a good as mine’s going to be! Enjoy the day – and I’ll be back in your inbox bright and early tomorrow! UPDATE 28 Jun 16: Hey folks – I just found out that this card was selected as a Hand Stamped Sentiments Artist Pick! Whoo-hoo – and thanks to all the greta designers at HSS for selecting my card! 🙂 You can see the other winners right here! Good Friday morning to y’all! I hope your week has gone well and that you’ve got fun plans for the weekend! Don’t be forgetting that Father’s Day is Sunday! So this morning – Thursday morning that is! – I was sitting in the kitchen working on the computer and out of the corner of my eye I saw something sort of gallop by down below – right by the pond. I glanced over and there was a small brown dog, kind of romping and stopping to smell the grass. I jumped up and called Wayne – and we looked to see whose little dog was out there. And then. We realized. It wasn’t a dog. It was a FAWN!! A teeny, tiny, spotty-bodied little fawn! And just a little ways further up the pond was Mom. And her TWIN!! Oh. My. Goodness. This is the first set of babies we’ve seen this year, so that was really exciting for us!